Lofts provide unique opportunities for interior designers as well as homeowners. Large, open, and with excellent window lighting, these spaces can be tailored to a number of looks and designs. For this client, we employed splashes of soft gray and beige to give the rooms a classy, sophisticated, warm experience. It is a home designed for entertaining or relaxation. Combining the elements of function, beauty, and design, we created this space to be in line with the lifestyle and aesthetic predilections of this client. 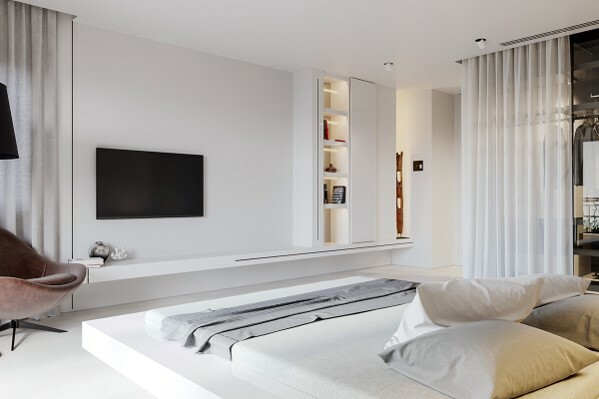 A home where Miami luxury meets simplicity. Designer Nicholas DeJesu, Founder and Creative Director, uses a style that is minimalist, yet sophisticated. His creations are accented by crisp, clean lines and muted tones. 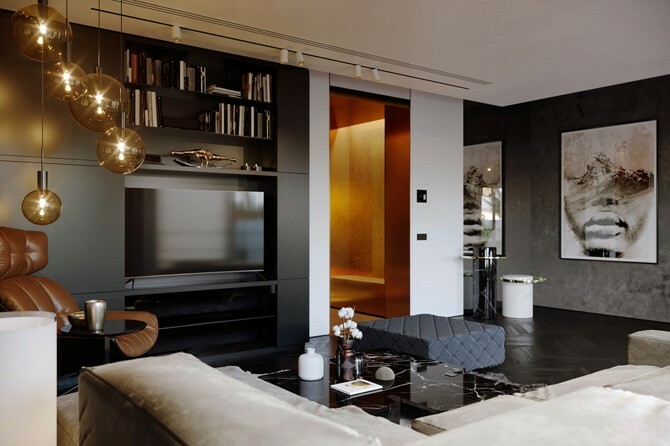 In this theme, he melded some of his favorite tones and shapes to the living space. The furniture compliments these lines and colors, and the lighting energizes the mood of the rooms. 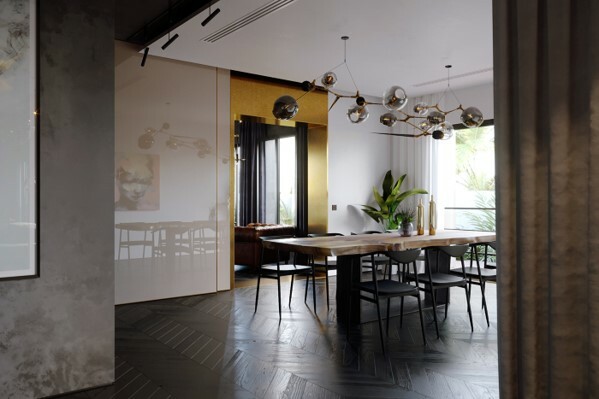 Everything has been carefully selected to give a space the feeling of uncomplicated luxury. 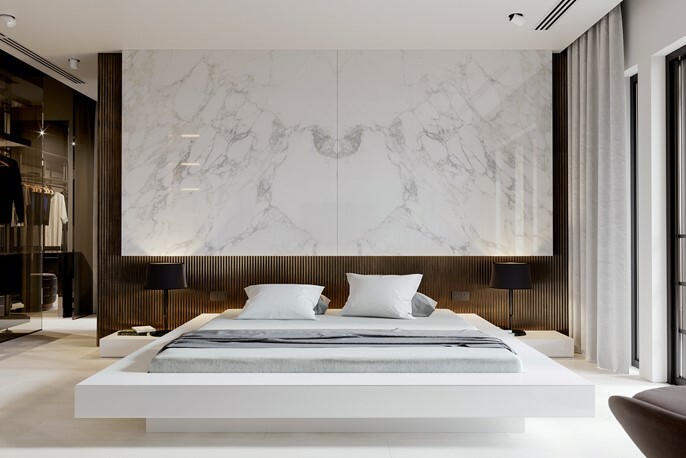 Mr. DeJesu created this design in order to provide a luxurious feeling and to evoke a certain lifestyle — the Miami lifestyle. This type of decor gives off an aesthetic of timeless and upscale beauty. Whether our client is relaxing at home, listening to music, or entertaining friends at a dinner party, this redesign provides the feel of comfort and the splendor of Miami living. The Minimal Loft design employed the finest natural materials, like woods and metals, to pay homage to timeless traditions. Everything is carefully placed to enhance the beauty of the other pieces, which are positioned for maximum impact. Everything exists for a reason: to provide a perfect refuge from an imperfect world. Having Luxe Design Studios take over my home project was the best thing I've done. Everything was finished and delivered on time and as promised. It was a delightful experience! What comes to mind first and foremost about Nick and his team, besides talent of course; is a passion for and devotion to quality, that can only be realized by truly caring for the customer. Kudos! Hope to work with you on many many projects!!! April 6, 2016 - First Florida Development & Construction, Inc.
Amazing designer! I can't be any more thankful to Nick and his team. My home was fully designed and decorated by him. There hasn't been anyone who visited, who doesn't compliment my furniture and decoration. His taste is outstanding, his ideas and creativity are simply incredible. Thank you Nick for your help and good taste, thanks to you my place is beautiful, modern and very elegant. I could not have been more satisfied with the service provided by Luxe Design Studios. Their team is simply spectacular and they designed the ideal house for my needs. I recommend them wholeheartedly!! I have worked on many projects and for many years with Luxe Design Studios. It is always a pleasure working with such a creative, innovative and professional designers. I'd hire them again in a flash!